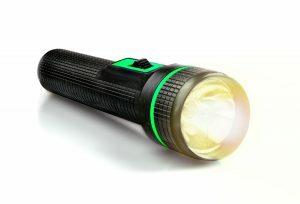 December 21 is National Flashlight Day. This is the perfect opportunity for you as a family caregiver to refresh yourself and your aging parent on safety during power outages. Even brief periods without power can be dangerous for your elderly parent, so it is important that you take the time to prepare them for such an event, and yourself for handling it even if it is from a distance. Keep their emergency kit easily accessible. An emergency kit is something that every home should have regardless of the time of year, climate, or who lives there. This kit contains the supplies that your aging parent might need to help them get through a power outage safely and comfortable. This can include food and water, extra blankets and clothing, entertainment, a first aid kit, a whistle and flares, and, of course, flashlights. This kit should be kept somewhere where your parent is easily able to find it even if the lights go out. Keep lights in each room. If there is a power outage, it might be difficult for your aging parent to get through the home to their emergency kit, especially if they have mobility issues or low vision. Help them to handle this by keeping flashlights in every room. Look for those that plug into the wall and glow when the power goes out. Make the utility company aware of special needs. If your aging parent has special needs or is particularly vulnerable, make sure that you let the utility company know ahead of time. This can help to have your parent’s home treated as a priority when it comes to restoring power. Make sure that you have emergency backup measures in place if your parent requires power for a specific need or challenge. Avoid dangers. Make sure that your aging parent is aware of potential dangers that can occur during power outages, which can include using heaters, generators, or cooking devices that are designed for outdoor use indoors. These can pose a fire hazard as well as a carbon monoxide risk. Starting elder care for your aging parent can be an exceptional way to help them keep their mind stimulated, their body active, and their quality of life high as they age in place. Even if your elderly loved one only has moderate care needs, the highly personalized services of an elderly home care services provider are designed to address their specific challenges and limitations, but also their personality, lifestyle, and goals. This means that your loved one can stay healthy, safe, and comfortable while also maintaining more independence and activity throughout their later years. This can include providing safe and reliable transportation so that your parent can take on more of their errands on their own as well as participate in activities and events that enable them to maintain more social engagement and a stronger, healthier mind. When it comes to keeping your aging parent safe and secure throughout their later years, this care provider can help your parent understand the potential risks that they face and to take steps to address and reduce these risks. The care provider can also review emergency plans with your parent and help them to follow through with them so that they can get through such situations as well as possible.